This was very fast and easy to make. First I boiled some water for couscous. I put 1/4 cup of couscous with 1/2 cup of boiling water in a bowl and put a lid on it to soak up the water while I cooked the rest. Then I put 2 tsps of olive oil in a skillet on medium heat. I added 2 TBSP of chopped onion and a small sliver of fresh ginger, some salt and pepper and cooked until tender. I cut a 3 oz. piece of boneless pork loin steak into small pieces and added them to the onions. Meanwhile, I pitted 6 fresh cherries and cut them in half and chopped up about 1/2 of fresh cilantro. 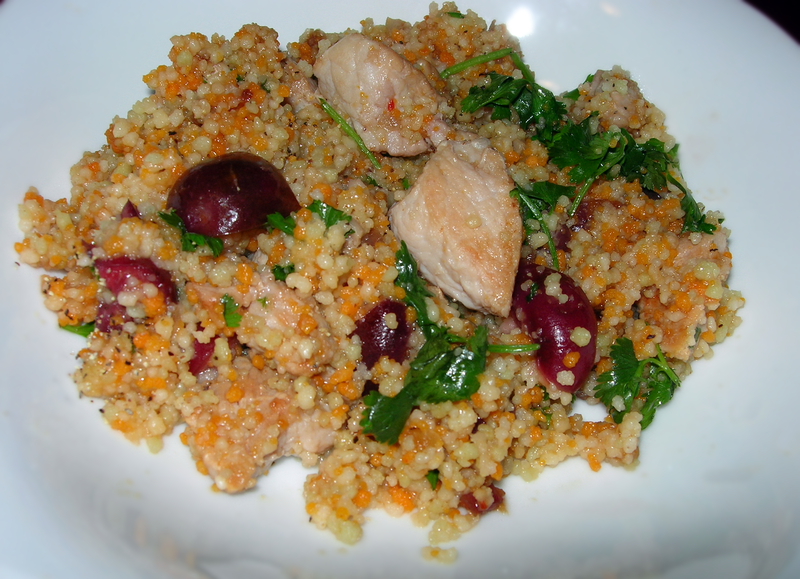 When the pork was done, I added the cherries and the couscous. I added two packets of sweet and sour sauce I had saved from a takeout from Panda Express. I don’t use many condiments except mayo and mustard. I don’t like ketchup and buying any condiments is just a waste, so I save a few from when I eat out. They come in handy as I didn’t want to make a batch of sweet and sour this size and probably won’t make something using sweet and sour sauce for months. So, I mixed in the two packets and added the cilantro at the end. This made one serving. It was flavorful, with sweetness from the cherries and tang from the ginger and onions and a nice freshness from the cilantro. 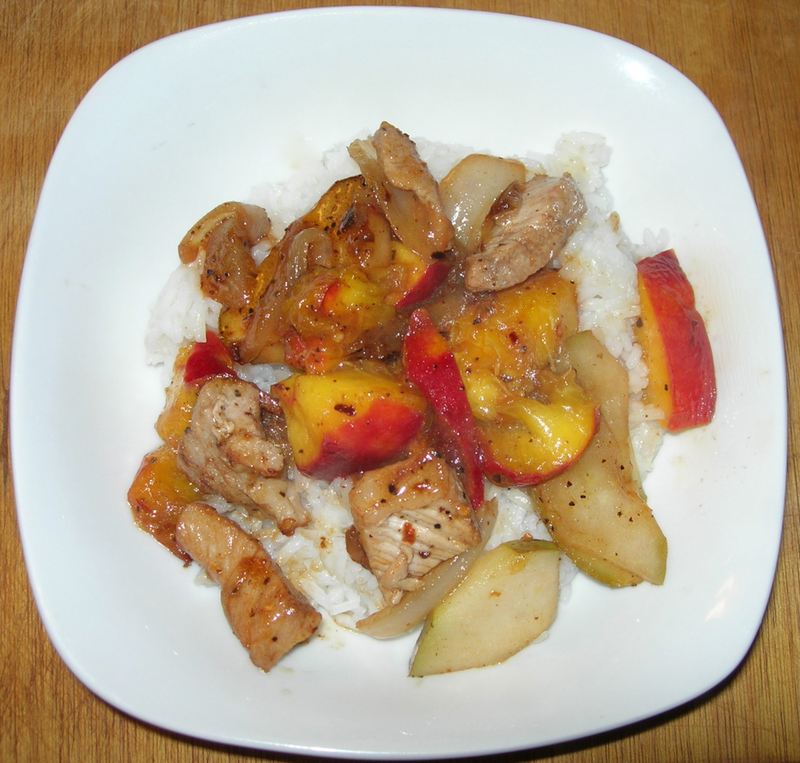 The sweet and sour sauce could have been left out, it would still be good, but I liked how it married the flavors.